HelpCrunch keeps pace with the modern customer expectations and is constantly getting trendier and more user-friendly. Moreover, with new customization options, HelpCrunch perfectly matches your brand presentation and delivers enhanced usability level – no matter if you’re a startup, SMB, or a big player. New styles, fonts and intends are more impactful and enhance readability. 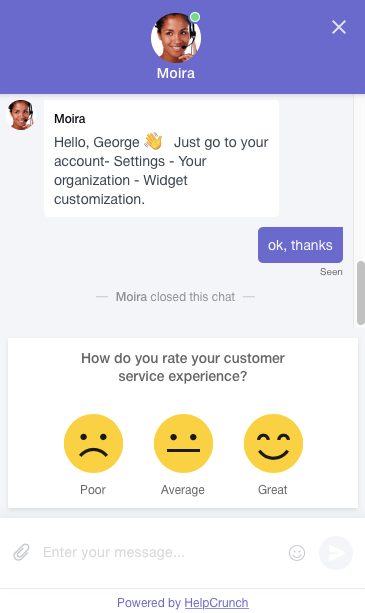 New chat rating, chat icon and waiting message styles become more stylish and eye-catching. More chat button shapes, trendy colors, bigger choice of icons and a gradient option give you infinite customization possibilities. And the great thing is that you can now preview all the changes you made right inside the customization settings. New animation for the chat pop-up creates a beautiful entrance effect. 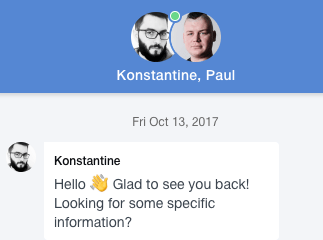 Fresh animations for the waiting message, chat closure, rating invitation etc are also smooth and visually-appealing. We hope you like this Helpcrunch face-lift. 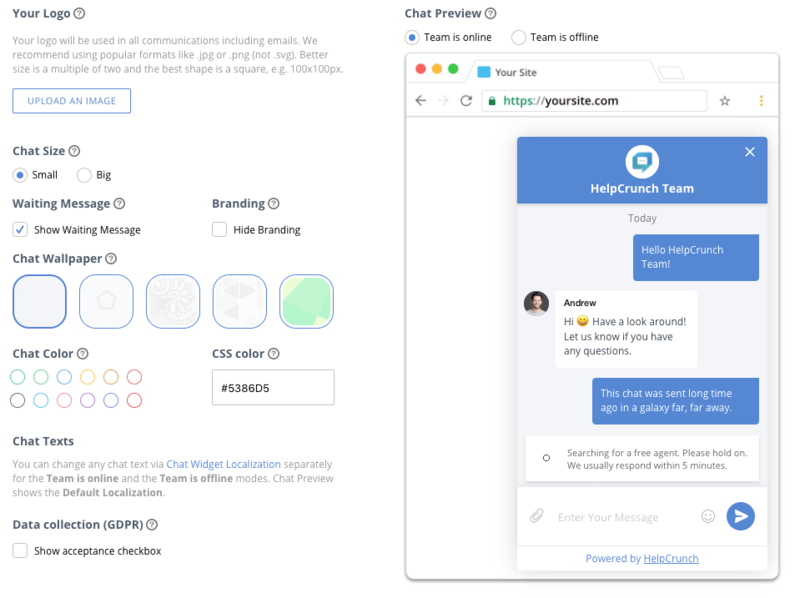 Not using HelpCrunch yet? Give it a try to engage and convert more.